Octavio Platón is putting his right foot forward, no pun intended. The artist, @MonsieurSaturday, has an eye for bottom halves. His illustrations are both detailed and personable, revealing more than just well-paired shoes, skirts, and pants. Each drawing depicts the bottom half of a personal friend or style source, along with a quote that speaks for the illustration and the designer’s tags. The final product? 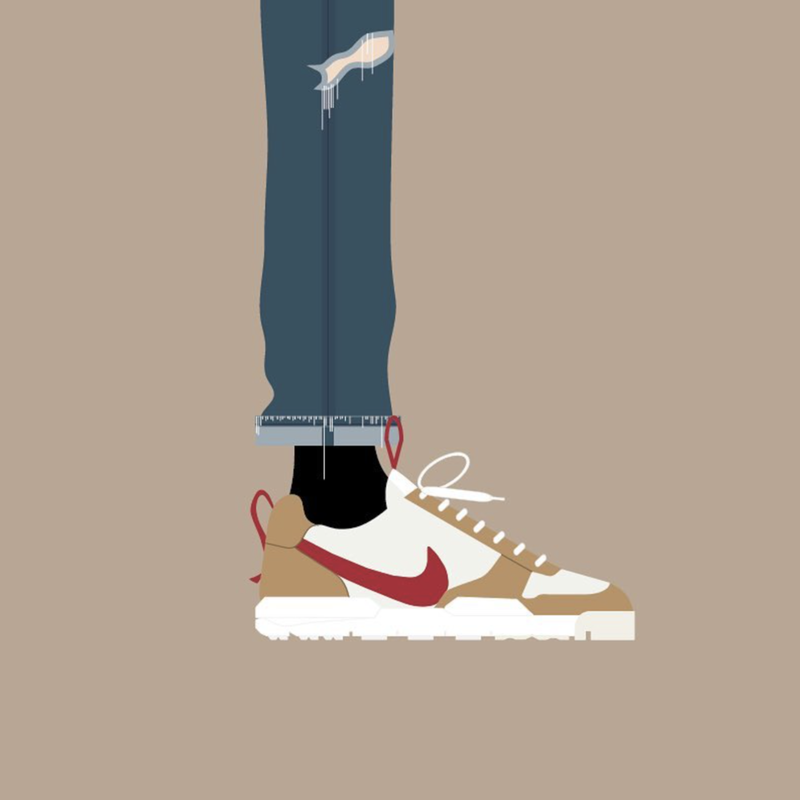 Shoppable fashion illustrations with context. Platón combines his authentic style - clean and fresh with a hint of funk - and his industry experience to create something simple yet real and relatable. @MonsieurSaturday’s page is filled with perfect pairs - Golden Goose lace-ups with a crisp white trouser, Gucci loafers with a pin-stripe pant, Common Projects with light-wash denim, combinations that are fairly common yet recreated in a unique medium. As he rises in the world of fashion illustration, Octavio let us in on his creative process, his favorite shoes, and even a few little-known facts. MO: Do you mind telling us a bit about the beginning, how you got started and where you're from? OP: I'm from Guayaquil, Ecuador. I consider myself a fashion illustrator. A store called The Silver Deer in Mexico City was my first collaboration as part of their journal. From there, I started to try my own thing with bottom halves (from the knee down) from people I consider are the right influence of what i want to show in my drawings. MO: Have you always been creating? Or have you always been an artist? OP: Yeah, I have always been creative with every aspect of my life. I was constantly drawing, trying to create different brands but always, always drawing. MO: How did you land upon drawing shoes and bottom halves? OP: I'm a huge fan of fashion publications, especially segments of street style. For Monsier Saturday, I wanted to show the same, but from my perspective and of the people I choose - who I believe to have the "VISION" nowadays. MO: Where do you draw your inspiration, and how does your creative process start? OP: From social media and different publications such as Monocle, Porter even podcasts (Blamo Podcast). When I have all the references from the person im drawing, I do a mini collage of it and start directly in Illustrator on my drawing. MO: What's your favorite shoe to draw? MO: Very nice. Now for a few fun questions - we're shaking things up around here. Favorite meal of all time? OP: Lebanese Dolmas - My mom's own recipe. OP: A Road trip from San Francisco to Palm Springs with my wife. OP: Frank Ocean - Blonde. MO: First car you drove? OP: Rag&Bone Fit 1 Light Blue Denim + Saint Laurent SL/06 White Leather Sneaker. Check out more of Octavio's shoppable looks @MonsieurSaturday.